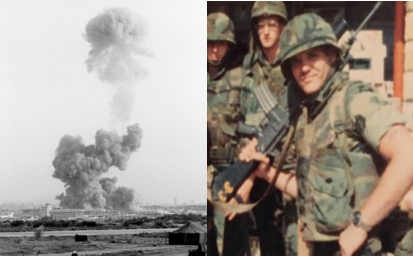 LCpl Matt “Gospo” Gospodinovich was an artillery Marine with “Charlie” Battery, 1st Battalion, 10th Marines and was part of a Quick-Reaction-Force that responded to the destruction of the Headquarters element living quarters at the Beirut International Airport on October 23, 1983. Gospo joined ALL MARINE RADIO to talk about about the 24th MAU’s (Marine Amphibious Unit) deployment to Beirut that started in May of 1983 when they arrived at the Beirut International Airport. He walks us through patrolling outside the airport, watching the USS New Jersey fire into the mountains above the airport and the events of October 23, 1983. Matt also talks about “living with” the events of that day, the fact that there was no mental health treatment during that period of our history, his panic attacks, how he’s dealt with it through the VA and how social media has played a big part in his healing all these years later.